A note from Fight.Boredom’s editors: The writers of Fight.Boredom in no way endorse any group defined by the United States as “terrorists.” Nowhere in this article are terrorist group websites linked to or are their addresses specially mentioned. The following critique is intended to be objective. Terrorists have entered the information age with a vengeance. The West is already familiar with some of their techniques. They use the Internet to communicate their demands and to distribute grisly videos of hostages and beheadings. They use the Internet to threaten and intimidate while protecting their hidden locations. But the marketing of terror and terrorist groups is far more sophisticated than most Westerners realize. With many of the same goals as our own political organizations, terror groups in the Middle East and elsewhere use the Internet to distribute propaganda, to find and profile potential recruits, and to raise funds. They also use the Internet to research and coordinate upcoming attacks and to communicate – often anonymously – with one another. "The messages on the beheadings spread out worldwide in seconds," said Professor Gabriel Weimann of Haifa University, Israel, a communications professor who monitors the activities of terrorist organizations on the net. Indeed, the distributive power of the Internet has alleviated one of the terrorist’s greatest complaints about modern media. Before Internet distribution, terror groups criticized the presentation of their video footage. They claimed the Western press focused too much on the suffering of the victims, not on the political or ideological message of the terrorists. With greater control over their electronic media, terrorists now control how much, and what, the audience sees of its message and crimes. And this communicative power is being used the world over. A recent Pew Internet & American Life Project study found that nearly a quarter of Americans online turned to the Internet to view some of the graphic images of the war in Iraq that they could not find in mainstream media coverage. Images, in many cases, provided by middle-eastern militant groups. According to a BBC interview with Professor Weimann, over the course of seven years the number of terrorist websites has blossomed from 12 to 4,000, maintained by hundreds of militant groups. These sites include conventional information websites, chatrooms, forums, and bulletin boards. Some groups, including Hamas – an anti-Israeli Palestinian Islamic organization established in 1987 during the first Intifada – have separate websites aimed at adults, potential recruits, news outlets, and even children. Hezbollah – an anti-Israeli Lebanese group of Shiite militants opposed to the West that seeks to create a Muslim fundamentalist state modeled on Iran – has even created a downloadable video game called Special Force based on the battles fought between the group's fighters and Israeli forces in southern Lebanon. Special Force is a first-person shooter military video game created using the open-source Genesis 3D graphics engine developed in the United States. The entire design of the game is expressive of Hezbollah’s ideals. A row of burning Israeli flags marks the time while the computer loads a "training session" where the player shoots targets of Prime Minister Ariel Sharon – 10 points each. "Victory comes from no one but Allah," exhorts the screen before the mission begins. The opportunities for martyrdom, from exploding land mines and snipers, are rife. Special Force is the hottest selling video game for the teenagers of Beirut's southern Shiite neighborhoods and can be played in Arabic, English, French, and Persian. The game quickly sold old its first run of 100,000 copies when it was released in Lebanon, Syria, Iran, Bahrain, and United Arab Emirates in early 2003. A subsequent, more sophisticated version allows multiple players to link up on a network. Some Internet cafes in Beirut have wholeheartedly embraced the game’s popularity. In one café, bamboo partitions, intended to evoke the Vietnam War, and red sandbags line the walls. Camouflage designs and rows of plastic Kalashnikovs adorn the walls. Photographs of Sheik Nasrallah and Iran's Ayatollah Ali Khamenei sit on a display shelf. And, while Western critics may decry the game as propaganda, Arab consumers embrace the game for its positive depiction of Arab warriors. And in much the same role that the US military’s video game America’s Army is designed to express the ideals and values of the US armed forces, so too have the designers of Special Force designed and targeted their product. Since the war in Afghanistan, al-Qaeda, too has moved to cyberspace. They use the Internet for communication and online training. Indeed, Al-Qaeda regularly moves between approximately 50 different web addresses to provide online training. 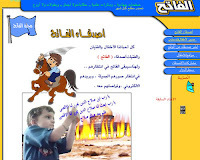 Since January 2004, the group has also maintained an online spiritual magazine, called the Voice of Jihad, and al-Battar, a training periodical. According to Professor Weimann, issue number 10 of al-Battar was devoted to kidnappings. Its release came just before the wave of kidnappings and executions that recently swept Iraq. This online trend is certainly not limited to Middle-Eastern Islamic groups. According to BBC, several groups scattered across the globe maintain strong web presences as well: The Peruvian Marxists, Tupac Amaru (MRTA); the Revolutionary Armed Forces of Colombia (Farc); Kahane, a Jewish group designated as a terrorist organization by both the US and Israeli governments; the Sri Lankan Tamil Tigers; and the Japanese doomsday cult Aum Shinrikyo, which carried out the sarin gas attack on the Tokyo subway in 1995. How can these groups maintain these sites with impunity, given the West’s dominance of the medium? A fair question to ask when you consider where these sites are hosted: The official website of Hamas, for instance, is registered in Sofia, Bulgaria and hosted by Hurricane Electric in Fremont, California, and Powersurge Technologies Inc. in Cedar Falls, Iowa; Hamas’ children’s website, al-Fateh, is registered in Beirut, Lebanon and hosted by Corbina Telecom in Moscow, Russia; the Website of the Hezbollah Secretary-General is registered in Beirut, Lebanon and hosted by ServePath LLC in San Francisco, California; the Hezbollah Special Force website is hosted in Longboat Key, Florida.